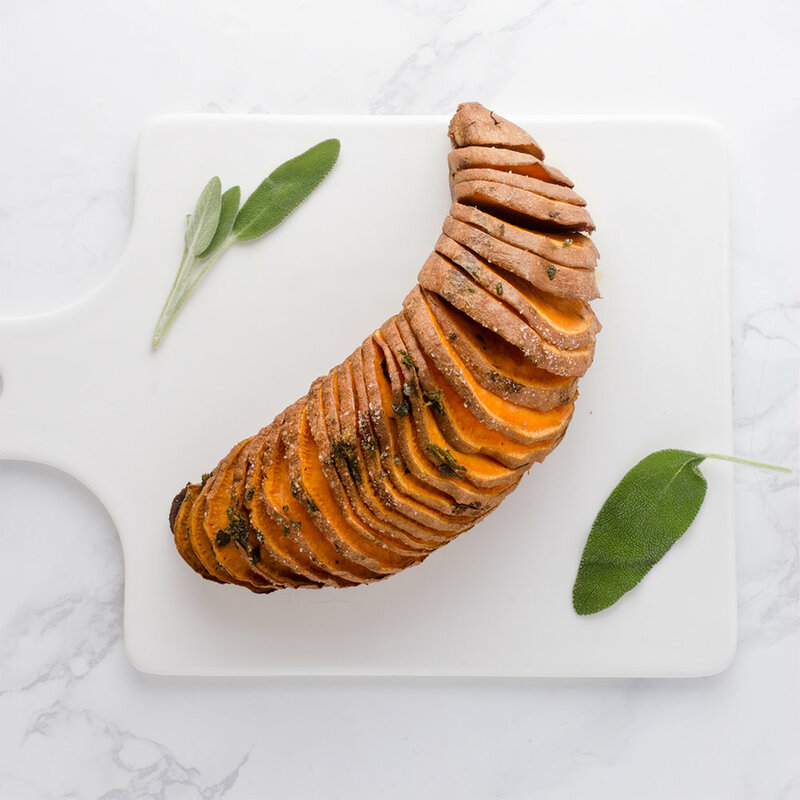 Crispy on the outside but creamy on the inside, Hasselback Sweet Potatoes give you the best of both worlds. Sweet potatoes are such an incredibly versatile vegetable. Don't believe me? Well how about the fact that they can be used to make sweet potato fries or as the base for some delicious sweet potato toast. You can even stuff them for the perfect meal anytime of day. However, one of my favorite ways to cook sweet potatoes is also one of the easiest. Hasselback potatoes are a dish that comes to us from a restaurant in Sweden (Restaurant Hasselbacken) and refers to a potato that is sliced thinly without cutting all of the way through. The potato is then brushed with a fat (oil, butter, etc) and seasoned before baking in the oven. The result is a potato that has crispy edges yet a creamy center that only looks difficult to make. Who wouldn't love that?! Using chopsticks on either side of the spud prevents you from cutting all of the way through. Typically, Hasselback Potatoes are made with white potatoes and may also include a breadcrumb mixture to be added on top. It's a great way to impress your guests with a fancy side dish or just add to your plate for a delicious weeknight meal. 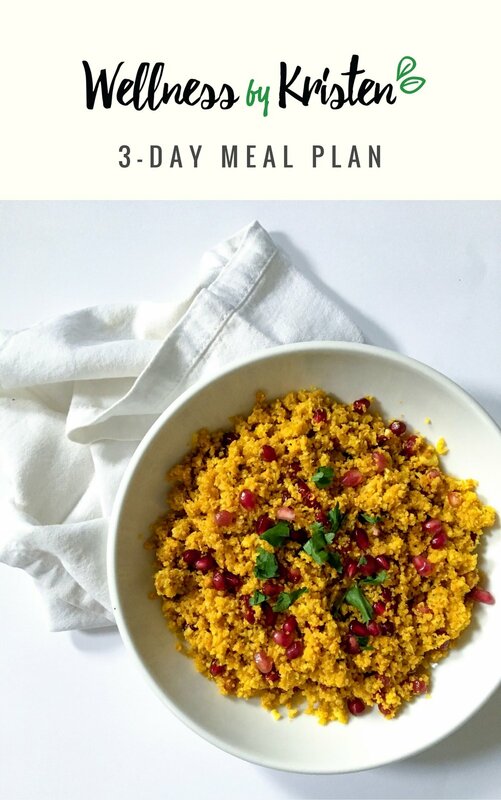 I chose to use sweet potatoes in this version for something a little different but try it out with a Yukon Gold (my favorite) if you feel like it! The combination of sage and ghee is also a favorite of mine that makes me think of the holidays but don't let that stop you from trying different combinations. Maybe olive oil and rosemary or grass-fed butter with smokey paprika. The possibilities are endless! So go ahead and get a little fancy with your potatoes this week and let me know what you think in the comments. 1. Preheat your oven to 425F. Make small 1/8 inch thick slits along the length of each sweet potato but only cutting about two thirds of the way through. To make this easier, place two chopsticks on either side of the sweet potato so that you do not slice through (see photo above). 2. In a small saucepan over low heat, melt the ghee. Once melted, remove from the heat and toss in half of the chopped sage leaves. Pour the sage and ghee mixture over each of the potatoes, making sure to get into each of the slices. Season well with sea salt. 3. Place in the oven and roast for 45 minutes or until the outer edges are golden but not burnt. Remove from the oven and season with remaining sage and salt. Enjoy!